The Great Yorkshire Show is the North’s leading agricultural event and takes place from Tuesday 14 to Thursday 16 July 2009 on the 250-acre Great Yorkshire Showground on the edge of the spa town of Harrogate. Lots of foodie events at the show including top chefs Rosemary Shrager, Stephanie Moon & Bruce Elsworth in the Game Cookery theatre, bread making, smoothie making, a cheese show and cheese making demonstrations and of course the vast food hall containing many of the best local suppliers and producers including stands from the Yorkshire food group – Deliciously Yorkshire. The Great Yorkshire Show will also see the launch of Yorkshire’s Own Kitchen, an essential guide to the very best of local produce and recipes from local food heroes and celebrity chefs, beautiful photography and food highlights for planning an appetising day out – all in one easy-to-use full colour book. Available at the show at a special introductory price of £6.50, Yorkshire’s Own Kitchen is available through farm shops, independent delis and local bookshops, as well as online at www.deliciouslyorkshire.co.uk It retails at £9.99. 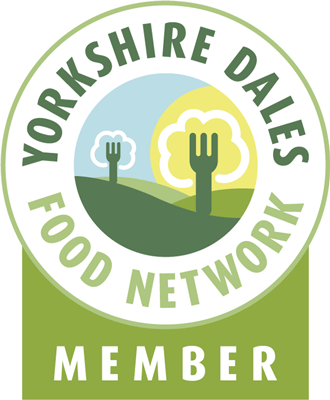 This entry was posted in Events, Yorkshire Dales Food and tagged beer, bread, cheese, cider, cookery, deliciously, demonstrations, Food, game, kitchen, local, local food, Meat, produce, show, tasting, wine, Yorkshire. Bookmark the permalink.